A one-day class focusing on identification of woody wetland and upland plant species based upon winter appearance. Instruction will be through introductory classroom lecture, in-depth field instruction, and indoor practice and review with collected specimens. 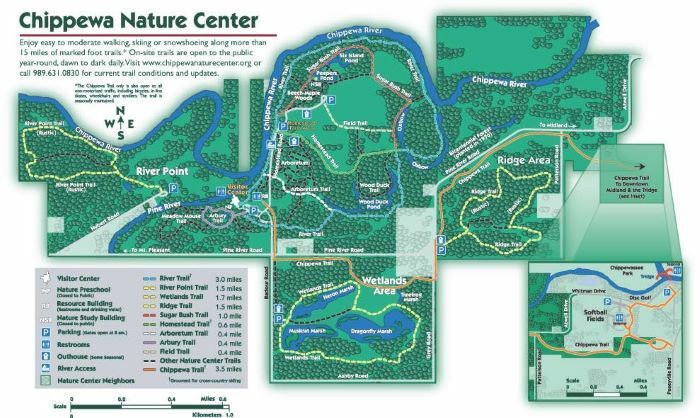 The field portion of the class will examine woody plants in a variety of wetland habitats at the Chippewa Nature Center. Participants will be responsible for lunch and lodging, if needed. Several lodging options are available in the Midland area. 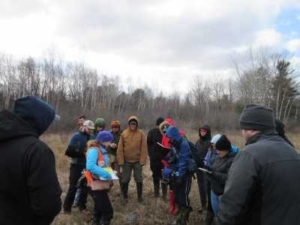 This is a winter field course, and participants should be prepared for varying field and weather conditions (rain gear, base layers, gloves, waterproof knee-high winter boots, etc.). All class attendees are encouraged to bring a hand lens (10x), write-in-the-rain notebook, pencil, and plant identification books. Other helpful tools include: binoculars, pocket-knife, camera, zip-lock bags, and/or clipboard. Martha Holzheuer – Martha is the Midwest Ecology Program Manager at Environmental Consulting & Technology, Inc. and has over a decade of professional experience consulting on a variety of private and public sector projects including ecological restoration; wildlife habitat improvement; environmental education; community outreach; rare species surveys and monitoring; floristic quality assessments; invasive species management; and native planting design and management. She is a Certified Ecological Restoration Practitioner, Certified Ecologist, Certified Arborist, and Professional Landscape Architect. Martha is currently a Board Member for the Society for Ecological Restoration Midwest-Great Lakes Chapter. She maintains excellent working knowledge of plant identification in all seasons, happily shares her tips and tricks gained from teaching field labs for the Woody Plants course at the University of Michigan, and truly enjoys helping people refine their identification process for Michigan’s flora in the field! Bryana J. Guevara – Bryana has experience in a variety of ecological and environmental services and prior to working as Marx Wetlands LLC, she worked at another consulting firm as a field lead, environmental consultant, and land development specialist. Bryana is recognized as a Professional Wetland Scientist (PWS) through the Society of Wetland Scientists Professional certification program and is a certified ISA Arborist with field experience in more than 30 local municipalities throughout Southeast Michigan. Bryana specializes in tree and plant surveys; wetland delineations; wetland mitigation monitoring; woodland habitat assessments; ecological restoration; threatened and endangered species habitat assessments; permit application assistance; and soil erosion and sedimentation control monitoring. She took the Woody Plants course at the University of Michigan and has continued to use her skills through regular field work and by attending seasonal plant courses. She enjoys sharing helpful field tips for positive tree identification and looks forward to assisting with this winter woody plants class.